For the quintessential Bengali that I am, stories are woven not merely through words but every little thing that builds up the soul of this City. Every quaint lane, sun-kissed old verandah, warps and wefts of the Taant has a story that is absolutely unique. Like birds of same feather I have always come across people and brands who happen to share the same spirit, a recent acquaintance being Qissaa. Qissaa is the yarn, anecdote, the story. The story of the artisan. The weave, the warp, the weft tells a tale. It is a living testimony to the skill and deft manipulations of the weaver. It talks of the transformation of the humble cocoon, the cotton pods to fabric – to cover, to adorn, to keep warm to tempt, to lure. It is a personal statement. 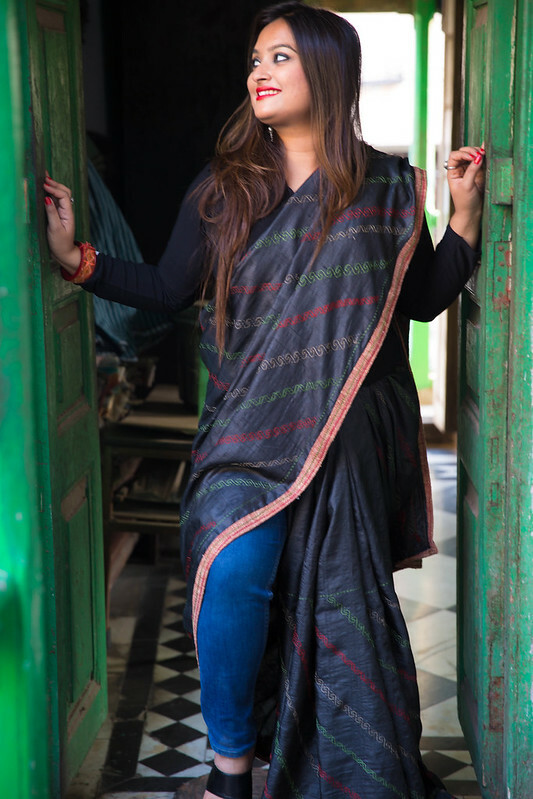 This post is a humble attempt to weave my stories with that of the artisans and create something unique. I styled the traditional Nakshi with a contemporary twist, teaming it with a lycra top and dark denims. Such is the versatility of the nine yards! 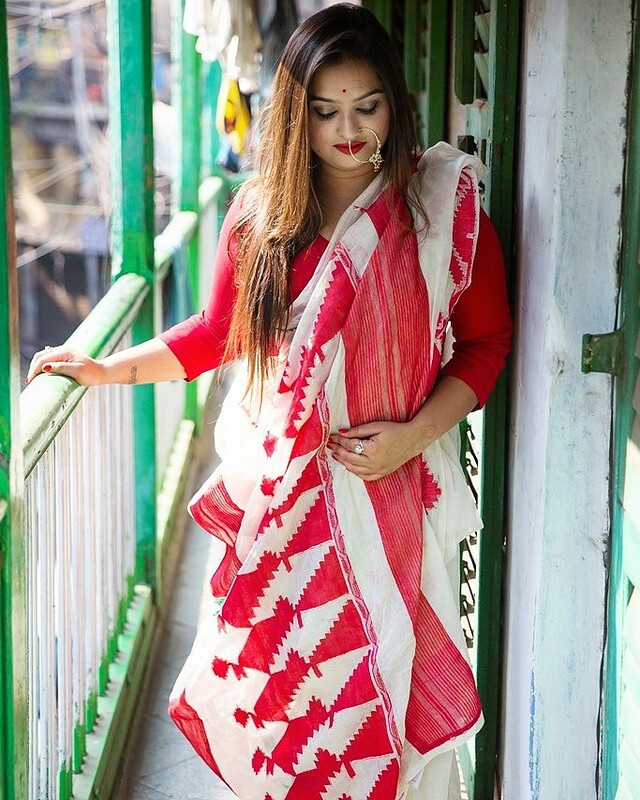 Nakshi kantha, a type of embroidered quilt, is a centuries-old Bengali art tradition.The basic material used is thread and old cloth. 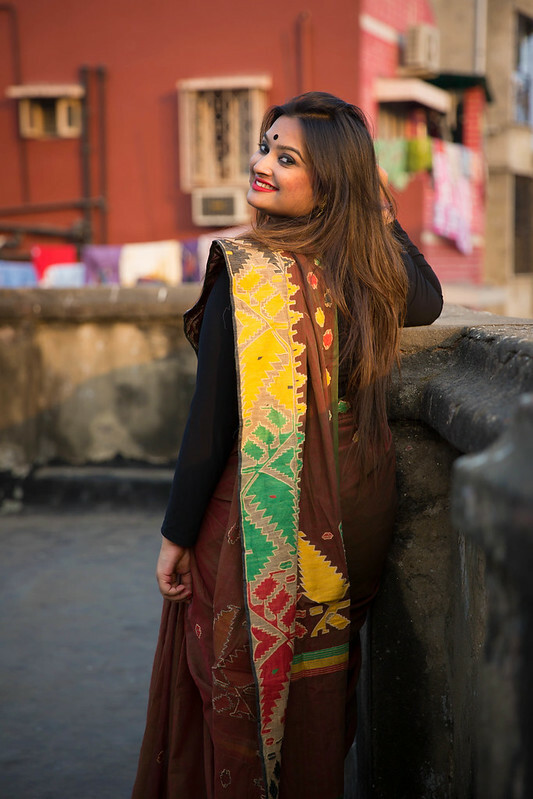 The colourful patterns and designs that are embroidered resulted in the name “Nakshi Kantha”, which was derived from the Bengali word “naksha”, which refers to artistic patterns. You may take a Bengali out of Bengal but never the other way round. 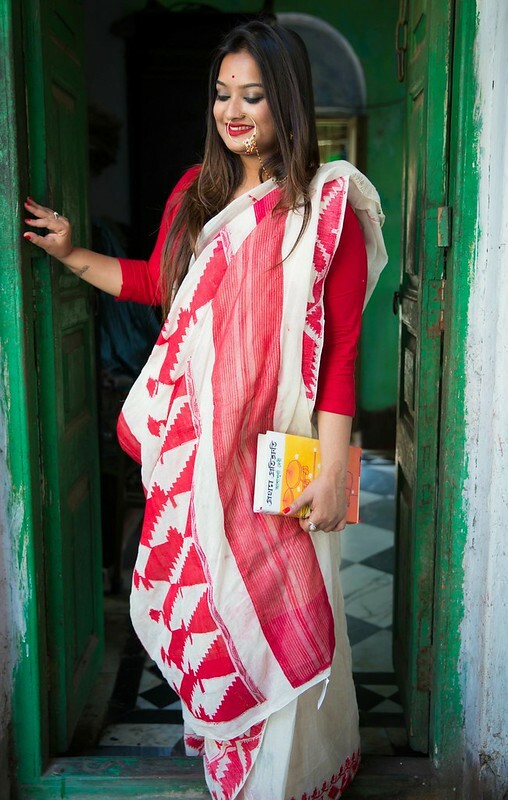 I have always been intrigued by the women of Bengali literature. There is something about the educated, intellectual yet highly rooted women that has never failed to inspire me. The Bengal weaves by Qissaa successfully managed to take that woman out of me. 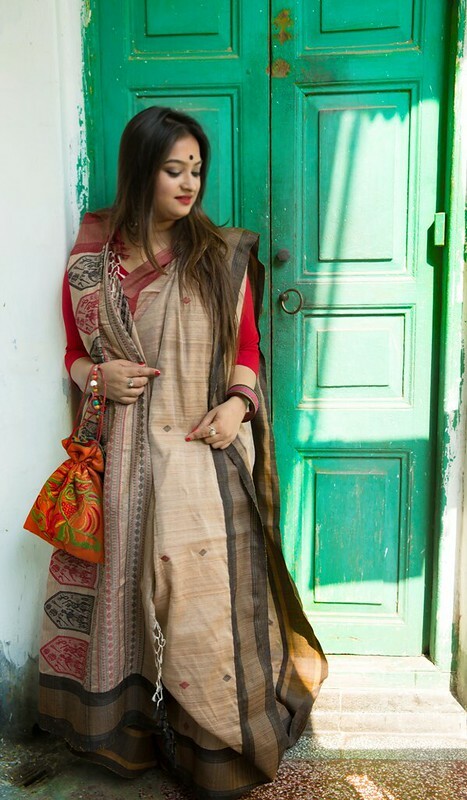 Their offerings include Jamdani, Baluchari, Dhakais, Tangails, Kantha, Batik, Tussar, Geecha, Matka, Qatan, Munga. Summers for me has been synonymous to faint orange sunsets on the terrace as the mild summer breeze sang tunes of Tagore. 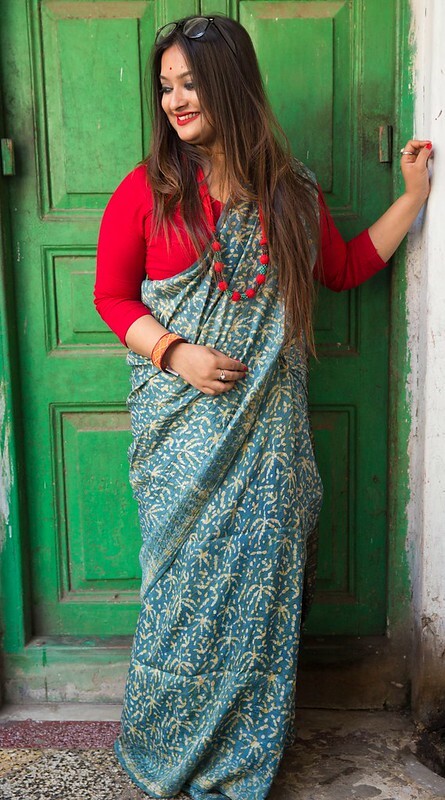 Qissa offers everything from the Bengal Taant to the cottons of the South… India’s repertoire is indeed incomparable! While many equate silk to ceremonious wealth I equate it to richness of intellect. The ceremonial feel of silk, a rich man’s robes, to the drapes along the windows, silk has undergone tremendous innovations over a period of years. 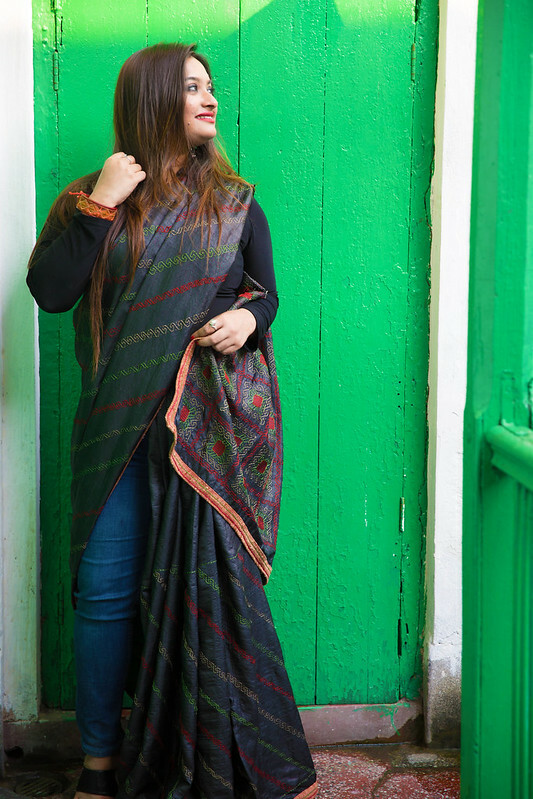 Qissaa’s nine yards of silk was given a 70s Bengali vibe, a tribute to the intellectual Bengali woman who would put anyone at a loss for words with her knowledge about high-end politics and literature. Besides these gorgeous drapes, Qissaa offers handmade jewelry and other accessories. Each and every piece narrates a story, a story so beautiful. Great post Pooja. 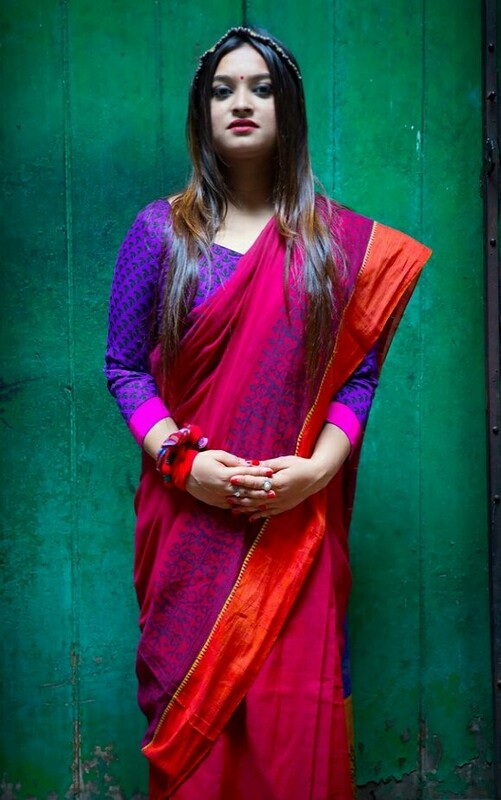 Loved your looks, specially that red jamdani typical bengali look.